Summer may not be over but we're already thinking about swapping our Birks to our Boots. 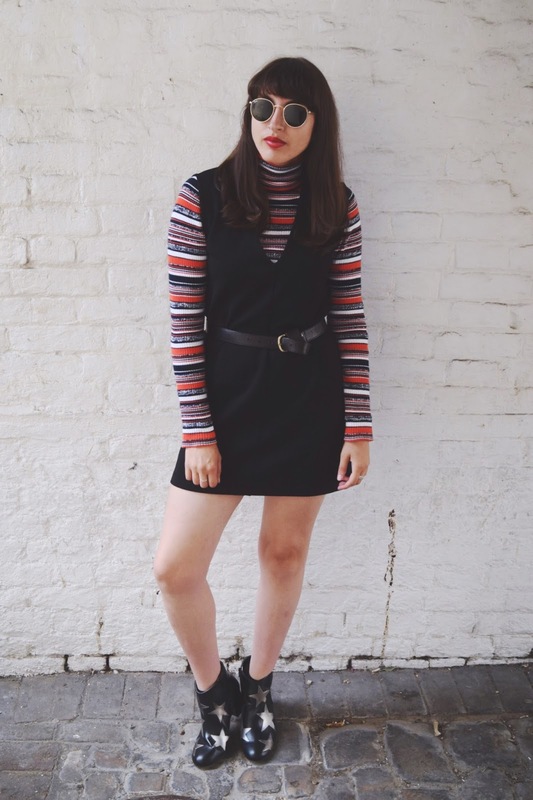 Black, heeled ankle boots are my go to shoes for any occassion so it's no wonder I fell completely in love with these statement boots from Asos - nicely inspired by Tommy Hilfiger and at just a fraction of the cost of the real deal! With this ridiculously chilly weather, it's no wonder I'm pairing by boots with knits in Autumnal August but layering with simple dresses and bare legs to keep a very slight summer vibe going on. The black block allows the boots to do most of the talking (and walking) but keeps a little bit of colour on show for interest. Do you have an absolute favourite pair of shoes? Share them with us! This is amazing!! I LOVE those boots, and the dress is gorgeoussss!